While I was away in Morocco, I took lots of face masks away with me to use. I tend to do this whenever I travel as I use it as an excuse to pamper myself and really refresh my body and mind. There’s just something so relaxing about popping on a good face mask and chilling out! I picked up the Superdrug Dead Sea Purifying Mask as part of a 3 for 2 offer that they had on their own brand face masks. I love these single use sachets because they’re ideal for travel as you aren’t having to carry around a bulky pot or tube and you can just throw the packaging away after you’ve used it. Plus, they’re great for people like me who like to try out lots of different face masks. I often stop using a mask for a couple of months and go back to it to find that it has dried up. This mask is designed for those with oily and blemish prone skin as its aim is to deeply cleanse the skin. It felt like a clay mask but it had a light, mint green colour. It applied very easily felt cool and creamy as I was applying it. The mask does contain witch hazel and willow bark which help to deeply cleanse the pores and the dead sea minerals in the formula help to draw out impurities from the skin. 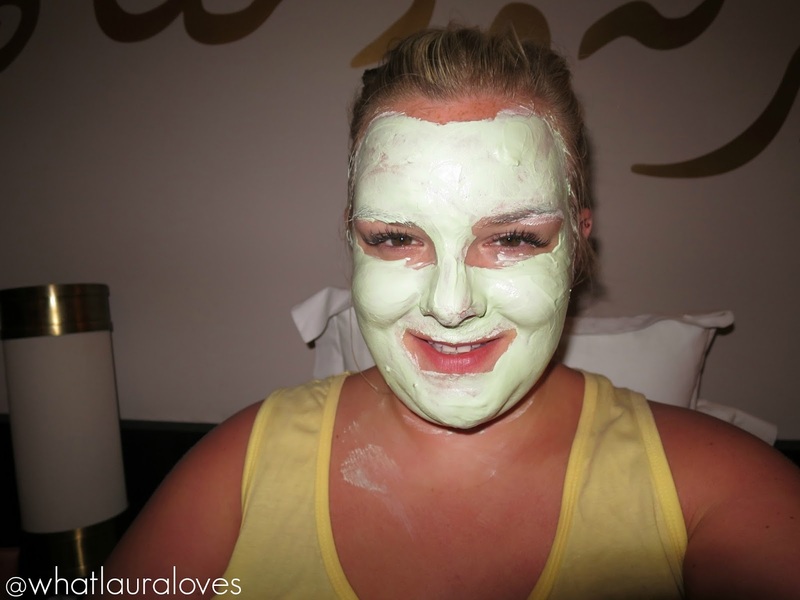 While I found the mask to be effective at deeply cleansing my skin, it didn’t feel very comfortable to wear at all. As you can see from the photo above, I was even squinting to take the picture and that’s because the scent of the mask was so strong. It contains the uplifting fragrance of cool eucalyptus and zesty lemon which aims to revive and refresh the skin which it does do, but it also make my eyes water it was that strong. I like to relax and chill out when I’m wearing a face mask but I couldn’t do that when I had this one on because it was so strong I couldn’t open my eyes properly and they stung like hell. Unfortunately for that reason, I’ll not be repurchasing this particular mask but I’ll definitely buy others from the Superdrug line in the future as I think they’re really handy. 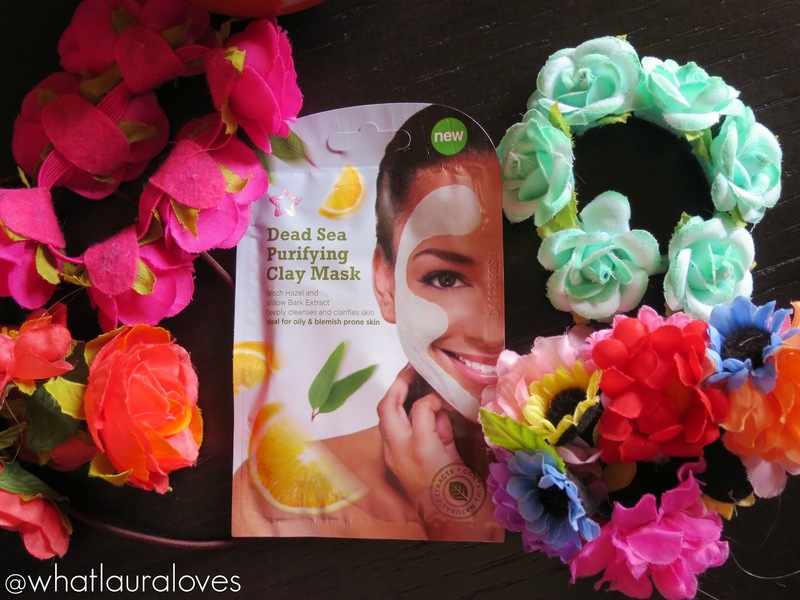 Like with all of the products that I review on my blog, what doesn’t work for me, might work for you so if that’s the case and you’d like to purhase the Superdrug Dead Sea Purifying Mask the click here. I love a good face mask but I've never had a good experience with Superdrug's own brand. I usually go for Montagne Jeunesse which are amazing! After deciding to give face masks a try , I purchased this last week. So far so good. I had zero issues with the scent. This is probably due to the fact that I didn't use the whole sachet. A little goes a long way. So far, I've used it 3 times & still have quite a bit left.